9.1" x 8.6" stitched on 14 count. 7.1" x 6.7" stitched on 18 count. 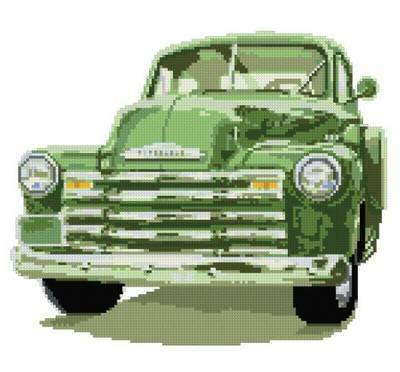 Chevy Truck cross stitch pattern... A chevy truck classic in green.